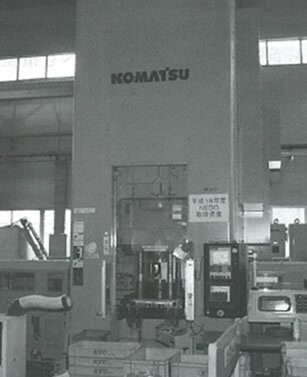 It is an AC servo press specialized in cold forging. 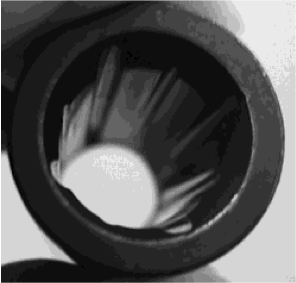 Free motion expands possibility of cold forging. We propose to replace hydraulic press with forging servo. 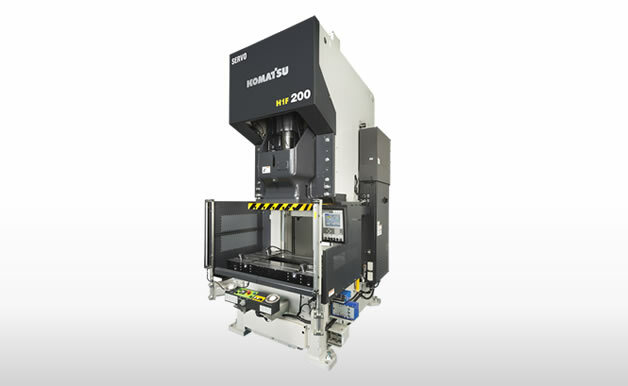 High accuracy forming is realized combining the MAY PRESS motion with the AC servo control. 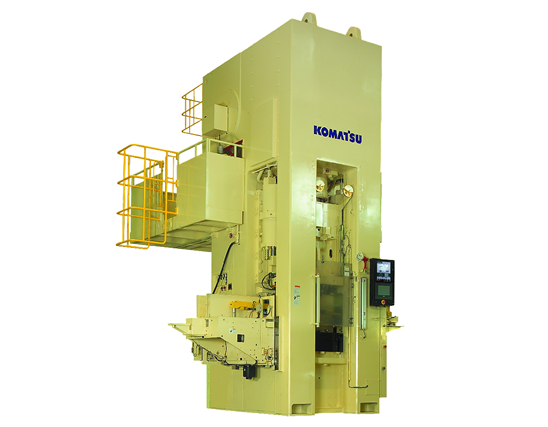 This is the first hybrid type forging servo press in the world. 1) Seizure-proof and productivity are increased. 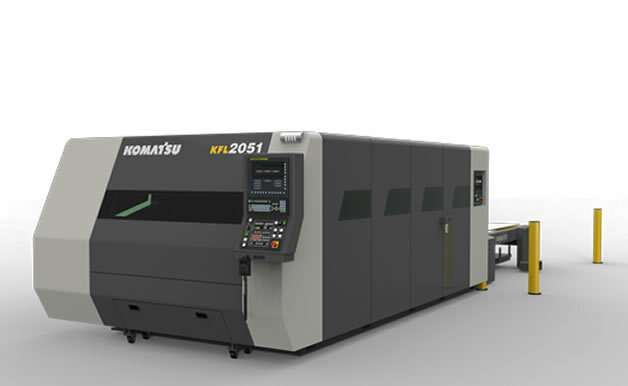 Komatsu's original MAY PRESS link motion makes touching speed to forming area remarkably slow to create a smooth plastic flow and realizes stable high precision forming. 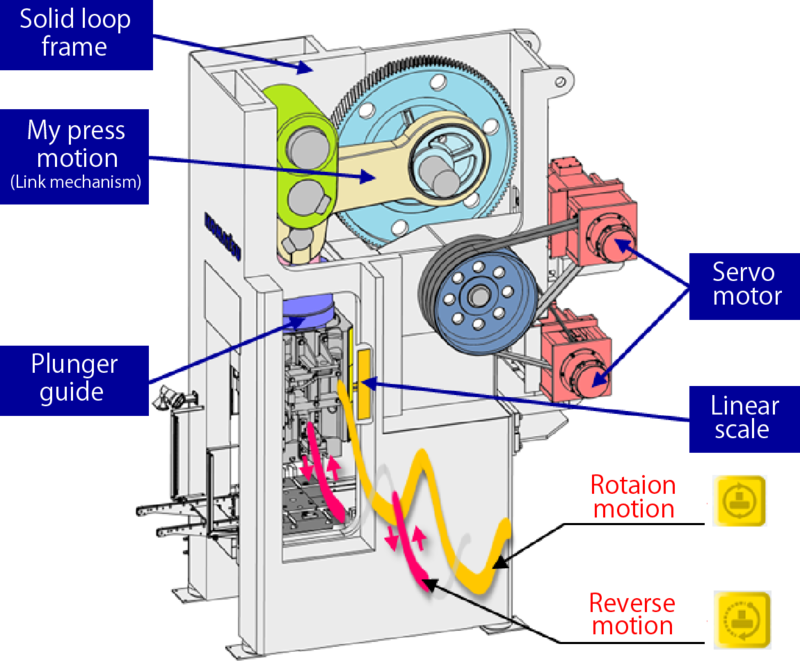 In addition, such motions as making speed slower only at certain positions to enhance formability and as making the slide reciprocating to improve fluidity and stretchability are made possible by free motion setting. 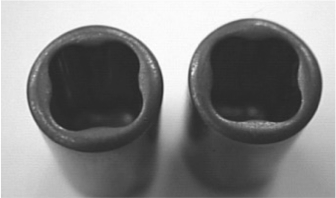 For backward extrusion of deep cups and for forming internal/external splines, slow speed forming as with a hydraulic press is more suitable since high dimensional accuracy and seizure-proof are required. 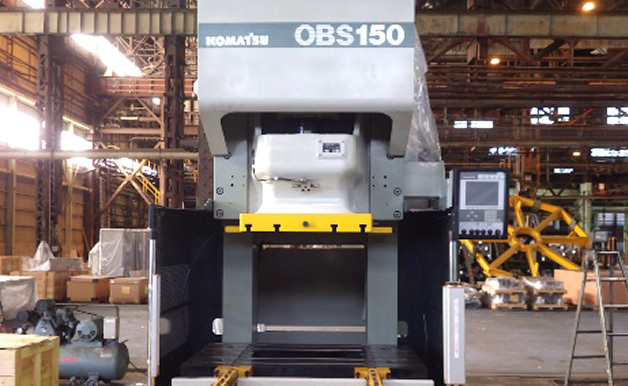 But hydraulic presses are low in productivity and troublesome in maintenance to raise costs. With H1C, you can control forming speed freely and, with the high torque and high accuracy of the servo motor, you can expect faster forming speed, higher product accuracy and lower manufacturing costs. With the servo BKO that enables flexible back pressure control, flow of material can be controlled to widen forming ranges. 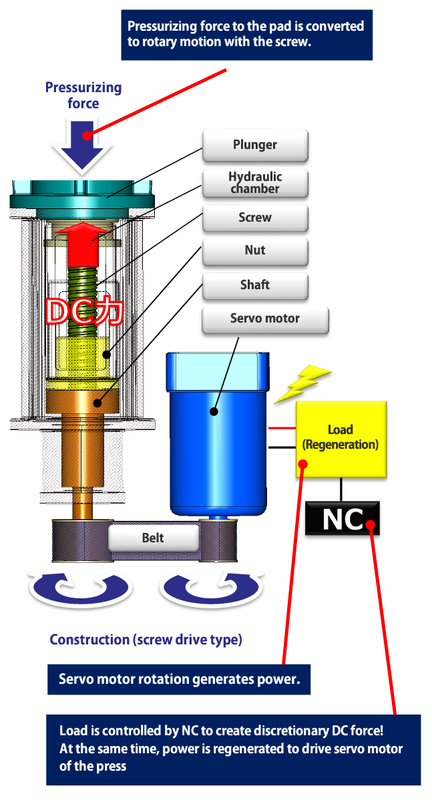 This is realized with the AC servo of the die cushion. 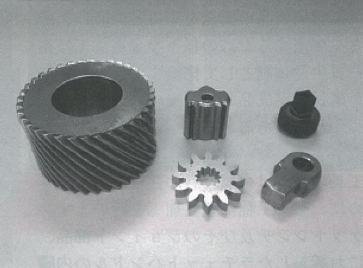 From Kyoto Tool Co., Ltd.
Function of the servo press is important for cold sinter forging of 35 degree helical gears. 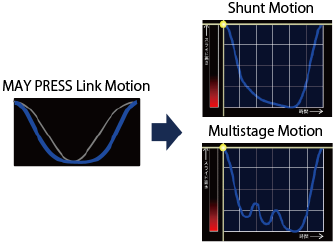 We had to increase density efficiently by minutely adjusting slide motions to minimize lowering of productivity, which was impossible with a mechanical press.